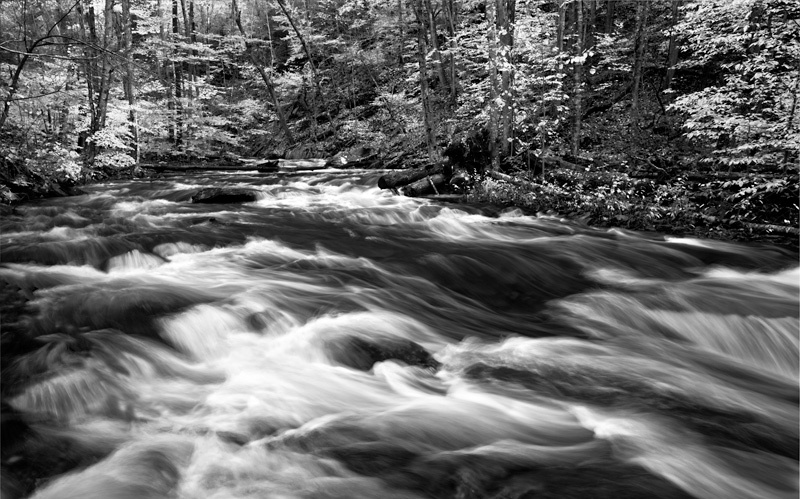 A black and white image of Kitchen Creek, the main watershed in Ricketts Glen State Park, Pennsylvania. Water levels were way up on this day and I was drawn to the S curve in the creek. I tried to capture this image at the most appropriate shutter speed to best demonstrate the fluid motion of the rapids. Photo © copyright by Michael Greene.